Yomase Hotspring is located in the middle of Kita Shinshu, surrounded by the Shiga Highlands and the Five Hokushin Peaks, in an agricultural area that grows a lot of fruit. 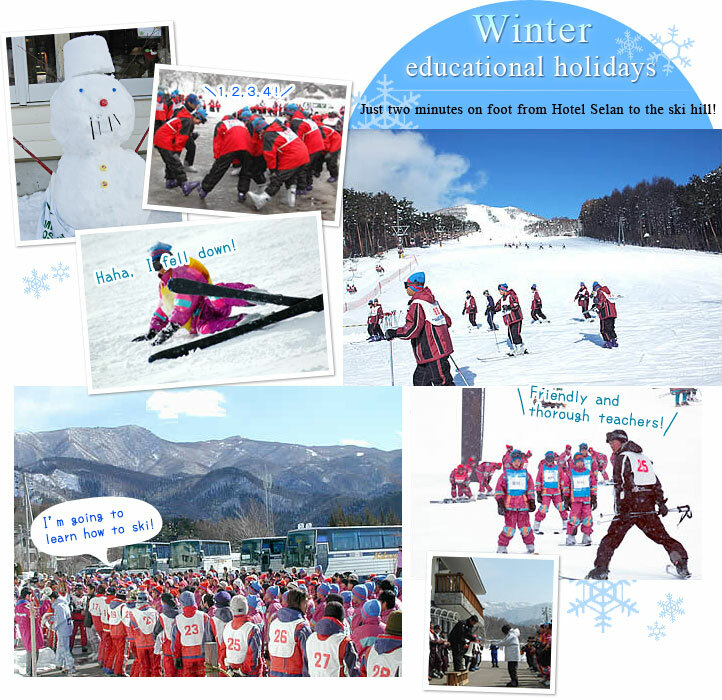 In winter, school groups come for skiing, and in summer there are experiential outdoor study classes. 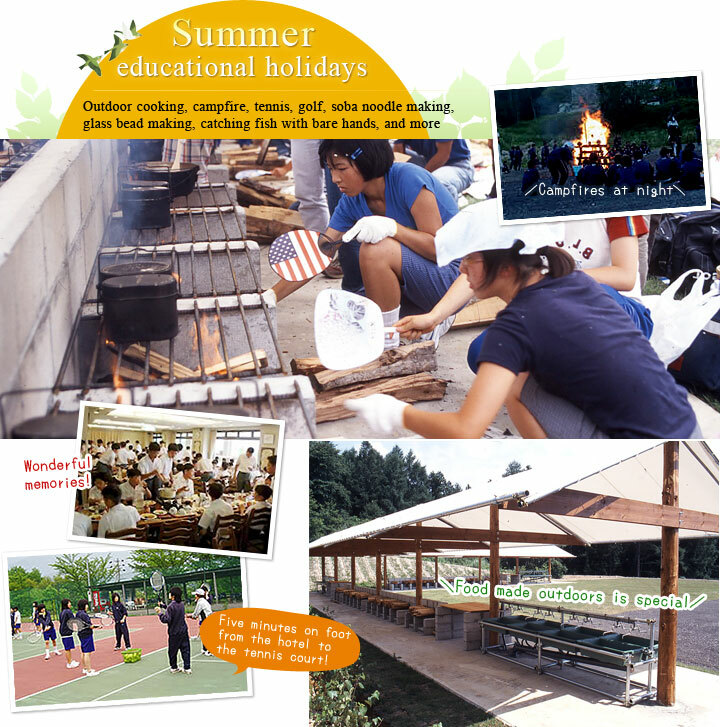 Students can have fun studying while getting close to nature. Hotel Selan supports groups to ensure that each student has a good experience and good memories. It is our wish that everyone’s lives can become richer from their experiences. 10 to 200 This craft is said to help you have good dreams. 10 to 50 Run the complete base of Mt. Takayashiro in this authentic course. At this hotel, we have alcohol disinfectant dispensers, mouthwash, and in the hallways tea (cold in summer, hot in winter) is available, in order to prevent colds. All rooms can be supplied with humidifiers when necessary. Special menu can be arranged for students with allergies. Please feel free to get in touch. ※Pick up service at Nagano Station is available with advance reservation. Should you require the service, please request to us by e-mail.